Comment: I would like to get an estimate for removal and replacement of a new front door.. Comment: I would like to get an estimate for a repair on my sliding door. Please give me a call as soon as possible. Comment: We have a sliding door that does not lock, the latch is broken it wont lock, we need to replace it or fix it. Will you be able to help us with that? Comment: self closing arcadia door not working. latch is missing and weight bar. Comment: I have 2 windowless exterior doors which require replacement (main entry and side). 1 door has a security door overlaid which will require removal. Rough dimension 36x80 and 32x80. Prefer steel or solid core panel doors. Both doors will require weather stripping to seal. Comment: Door won't quite close all the way, and now frame is starting to come apart. Annoying. Avondale Door Services are rated 4.70 out of 5 based on 1,603 reviews of 13 pros. 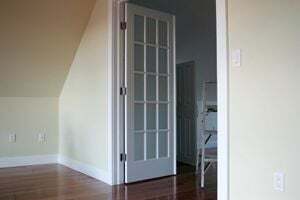 Not Looking for Doors Contractors in Avondale, AZ?